“One of the great mysteries in cancer research is why inherited mutations, such as those in BRCA1, cause cancer only in specific tissues such as the breast and ovaries, rather than in all tissues. Our data suggest a ‘die or transform’ hypothesis, which could explain this tissue specificity,” said Dr. Theodora Ross, Professor of Internal Medicine and Director of the Cancer Genetics Program at UT Southwestern. Additional data from this study suggest these patients may have a tougher time with the side effects of chemotherapy. According to the National Cancer Institute, more than 246,660 women will be diagnosed with breast cancer and 22,280 women will be diagnosed with ovarian cancer this year. Of these, about 10-15 percent are estimated to be affected by BRCA1 and BRCA2 genetic mutations, Dr. Ross said. “Our data also illustrate why rare variations in the BRCA1 gene are not always mutations that put women and men at high risk for specific cancers. We and others have learned that most rare ‘spellings’ of the BRCA1 gene, spellings we call variations of undetermined significance, are not harmful,” said Dr. Ross, a member of the Simmons Cancer Center. Dr. Ross’ laboratory investigates how cells transform from normal cells to cancer cells, and how some cancer cells are able to withstand specifically targeted cancer drugs. Among her main avenues of research is the BRCA1 gene, which – when abnormal – predisposes women to breast and ovarian cancer. This study was supported by a Burroughs Wellcome Fund Clinical Scientist Award in Translational Research to Dr. Ross, the National Institutes of Health, the National Cancer Institute, and the Cancer Prevention and Research Institute of Texas (CPRIT). Dr. Ross led a team of researchers including lead co-author Dr. Victoria E. Mgbemena and Dr. Ranjula Wijayatunge, postdoctoral researchers with the Hematology/Oncology Division of Internal Medicine, and former UT Southwestern researchers Travis Laxson and lead co-author Dr. Robert A.J. Signer. UT Southwestern researchers who also worked on the study include Dr. Sean Morrison, Professor and Director of the Children’s Medical Center Research Institute at UT Southwestern, Professor of Pediatrics, and Investigator with the Howard Hughes Medical Institute, who holds the Kathryne and Gene Bishop Distinguished Chair in Pediatric Research at Children’s Research Institute at UT Southwestern, and the Mary McDermott Cook Chair in Pediatric Genetics. Dr. Morrison, a CPRIT Scholar, also oversees the Hamon Laboratory for Stem Cells and Cancer. BRCA1 and BRCA2 are human genes that produce tumor suppressor proteins which help repair damaged DNA. 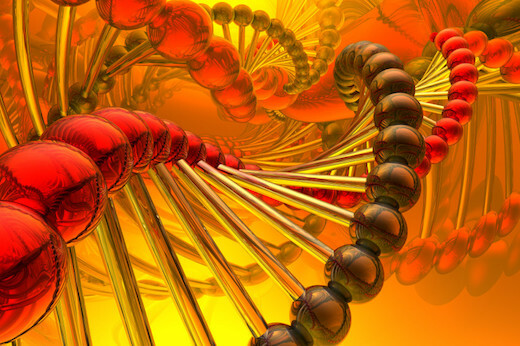 When either of these genes is mutated, or altered, DNA damage may not be repaired properly. BRCA gene mutations can raise the risk for several cancers, including breast, ovarian, prostate, and pancreatic cancer.